Description he might knight is on an journey to reach the castle located at the northern area.For the knight to reach the castle, he would have to pass a jungle in between him and the castle. The jungle is full of trap and monsters that can take away his life instantly. 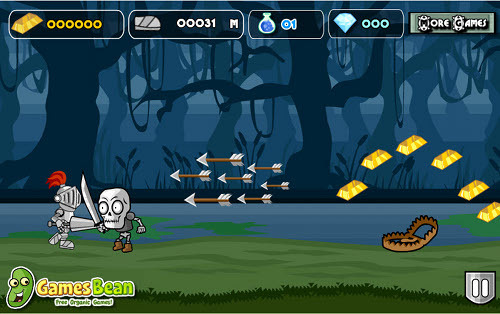 Help the knight pass the jungle using his skill,armor and weapon. collect gold to buy upgrade in the shop to improve knight survival.